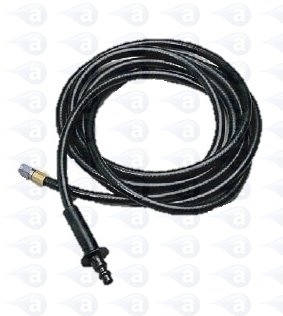 Airline hose for use with 250A type pneumatic cartridge guns. 5 ft long with Schrader connector. B-nut connector on gun end. Safe for use to 100 psi air pressure. Supplied in a sealed and labelled pack.